If you love tacos so much you’d eat them for breakfast, it’s time to put your money where your mouth is. 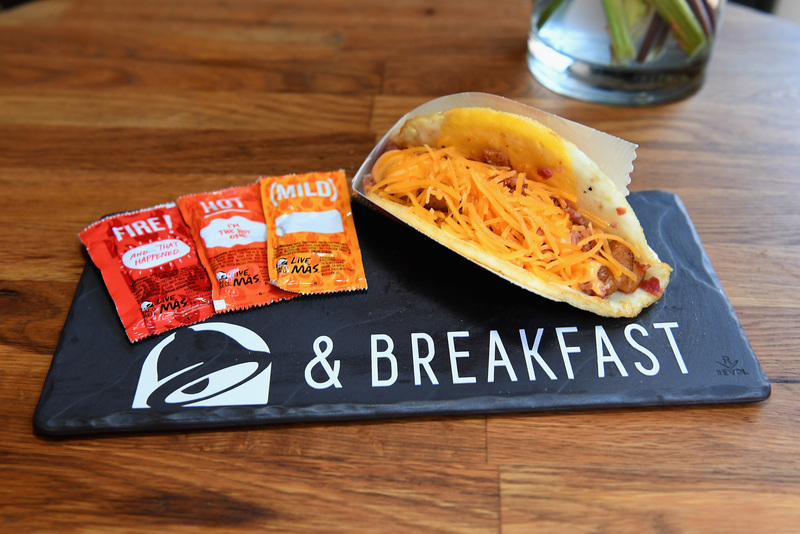 Taco Bell has been hyping up its breakfast menu a lot lately, and now it’s bringing back one of the items that debuted last year. It’s official: Taco Bell’s “naked egg taco” is coming back, and…we’re confused on whether or not this is a good thing or a bad thing. If you’ve never had one before, the naked egg taco is basically exactly what it sounds like: a “taco” with a fried egg as the shell, with potatoes, nacho cheese, and either bacon or sausage inside. The brand announced its return this week, along with a special: Starting March 8th, you can get two for $3.49, which sounds like a pretty cheap breakfast deal to us. So whether you’ve really missed the naked egg taco during breakfast hours or want to give it a try for the first time, head on over to Taco Bell. That actually looks pretty good, right? And if you’re feeling a little squeamish about the fact that the shell is an egg, don’t worry — you can also order this with a Gordita flatbread so it becomes more of a traditional, less naked breakfast sandwich. This naked egg taco might actually be worth a try, especially since Taco Bell has such an awesome track record for making weird-sounding food taste delicious. After all, where would we be without Doritos tacos and nacho fries?